Summer is arguably the most fun season. It’s a time to lay or work out by the pool, fly a kite outdoors, or get a group of friends together to hang out and enjoy the down time. A great way to do this is by hosting a cocktail party at your apartment with refreshing drinks, feel-good tunes and tasty treats. We’ll give you some great party planning tips on how to throw a cocktail party at your abode, no matter how humble. What is the secret to hosting a smashing summer cocktail party? It’s not rocket science – in fact, the simpler the better. Keep it casual, convenient and uncomplicated. The three key components to a successful shindig are food, drinks and music. Setting the mood with festive decorations is a big bonus. Choosing a theme is a great way to get your guests excited about attending as well as for making a focused plan. Some easy ideas for themes are luau, 80s, casino, fiesta, and since we’re in Louisiana – Cajun. Once you pick a theme or motif, you can plan what the food, music, specialty drinks and ambiance will be. As a basic rule of thumb, it’s good to have at least three food options and two drink options available. Dips like hummus, salsa, guacamole or bean dip are always delicious and easy hors d’oeuvres, as are mixed nuts, cheese plates and charcuterie boards which you can get from your local butcher or supermarket’s meat department. Making a signature drink is a really nice touch that your guests will appreciate. A great New Orleans drink that’s light, refreshing and perfect for summer is a Pimm’s Cup. It’s also low in alcohol for those who don’t care for hard liquor drinks. The recipe is as easy as can be. Serve this Pimm’s Cup recipe with some brews for the beer drinkers and sodas for the non-drinkers and everyone will be pleased! Once you’ve prepared the food and the drinks, make a playlist of your favorite beach songs, retro songs, Latin music, or whatever your heart desires on a mp3 player or mixed CD. Then hang some lights and other decorations around your apartment, balcony or patio and you’ve got yourself one heck of a summer cocktail party! 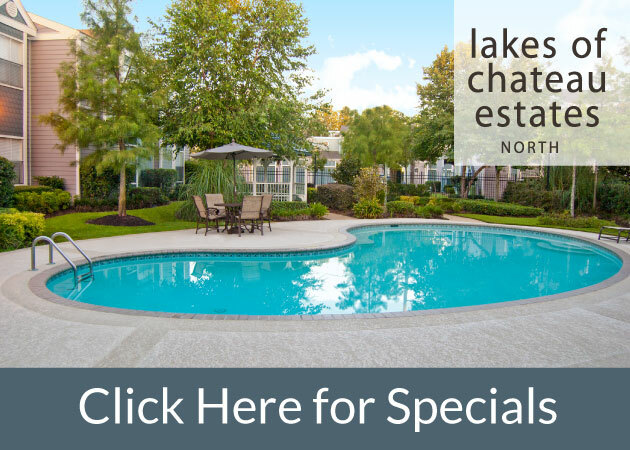 Residents of 1st Lake apartments at Citrus Creek, Clearwater Creek, Lakes of Chateau South, Lakes of Chateau North and Hickory Creek can take advantage of renting the clubhouses in their communities to host cocktail parties. To rent the clubhouses at these 1st Lake locations, you must be a member and pay a small deposit of $200. The price to rent out the club house is approximately $45 an hour, depending on location. There is also an additional $75 cleaning fee. Residents are free to hang decorations as long as they don’t make any holes in the walls. Ask your property manager for details!